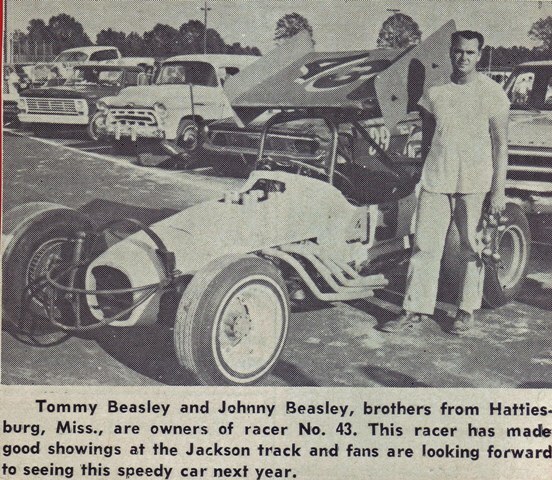 Standing next to Tommy's car are his sons Mike and Ricky Beasley. They went on to follow in their Dad's footsteps. Picture taken in 1970 and donated by their sister Kelli Parker.